For teams that maintain our railways, effective Arc Flash and Flame Resistant railway PPE is critical. Arc Flash hazards are not unique to the rail industry, but they are a danger that poses a serious risk. The ProGARM range of Arc Flash and flash fire resistant garments ensure that your team is comprehensively protected from an Arc Flash incident. Our clothing is made from 100% inherent fabric, using only quality fibres and components. Thanks to our innovative designs, ProGARM has developed Arc Flash and Flame Resistant railway PPE that is as comfortable as regular clothing. Our clients tell us these designs encourage proper use of the garments. Garments that don’t fit correctly or that aren’t worn correctly won’t provide the protection the wearer needs. 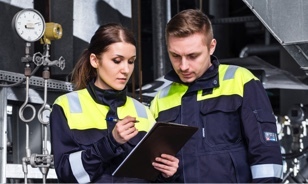 High visibility is also crucial to workers in the rail industry. That’s why we have a comprehensive range of quality Arc Flash protective clothing that has been developed to conform to RIS-3279-TOM. This specific UK standard aims to ensure the safety of workers on or near the tracks. This standard stipulates the fluorescent orange colour to the precise chromaticity coordinates and the minimum luminance factor. Retro-reflective materials must also be used and aligned with EN 20471. Washing a protective garment need not result in significant colour fade. 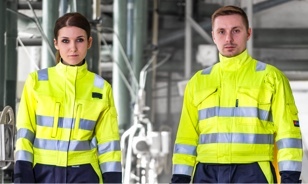 At ProGARM, we understand that high-visibility Arc Flash and Flame Resistant clothing must be colour fast as well protective. Multiple laundry cycles should not remove the vivid colours necessary to keep your team visible while at work. Take a look at how our garments have been tested to EN11612 and certified according to ISO15797 so that they continue to deliver wash after wash after wash.
ProGARM’s rail garments have also been designed with features to help your team do their job effectively. Radio loops, storage space and expandable openings are just some of the features that you’ll find alongside our ThermSAFE components and SafetyICON external markings on a ProGARM protective garment. What’s more at ProGARM we continue to innovate and develop our Arc Flash clothing to improve your teams’ safety and comfort. We’ve found our garments can last as much as 70% longer and they also come with our Lifetime Seam Guarantee which shows that protection and comfort doesn’t have to be expensive. 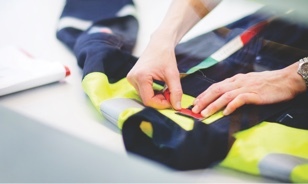 Find out more about how ProGARM safety garments are the cost-effective choice. We know that you keep us on track. Our goal is to help you do it safely.